When the unfortunate system failure does happen, our highly-skilled technicians will quickly have your system back up and running. We take pride in doing our job well. Our professional team can fix just about any problem. They will explain the issue and options, and recommend a solution.They will also clearly explain the associated costs. 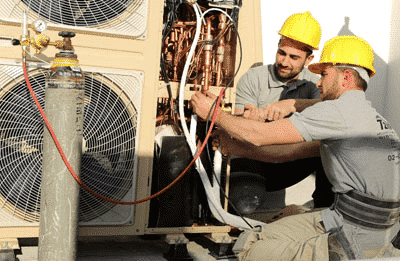 Our expert technicians have gone through extensive training and are always ready with fast and reliable solutions to handle all your system’s issues. You can count on us to answer your call day and night. At TzviAir, our repair service is unparalleled. Our technicians take pride in being able to diagnose and properly fix system issues. We offer best-in-the-business guarantees because your satisfaction is our top priority. 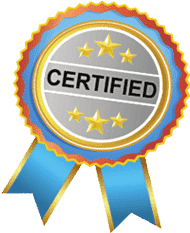 We recognize that you have options when it comes to your heating and cooling needs, and we honor your business by providing a satisfaction guarantee on all our services. 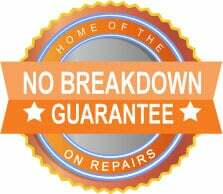 No Breakdowns for a Year — Our technicians are the best in the business — that’s why we can offer a no breakdown guarantee! That’s right, if your system breaks down within one year of our repair service, we will fix it free of charge. That’s almost unheard of, but we have a lot of confidence in our technicians. A Preventive Maintenance Service Agreement from TzviAir will keep your system running smoothly. Under this agreement, one of our skilled professionals will perform regular maintenance and cleaning. The energy efficiency of a clean, well-maintained system will keep energy costs low. Regular maintenance will also reduce the chance of unexpected equipment failure and costly repairs. Twice a year, TzviAir will provide a 14-point system check up to identify any potential problems before they happen. If we find an issue, we will explain it and offer options and recommendations for fixing it. Most issues are minor and inexpensive to repair. Addressing them early can prevent larger, costlier future repairs. TzviAir will clean all internal and external filters on a scheduled basis to ensure your system’s peak performance. For central air systems we will clean your ducts on a scheduled basis to keep your air clean and blower working efficiently. Depending on the package you select we will clean your evaporator and condenser coils on a scheduled basis. This is critical to keep your system functioning properly. If you have a problem with your system, we will diagnose it at a reduced fee. With a Preventive Maintenance Service Agreement, we will assist you first and your request will be completed faster. You will receive a discount on all parts and labor needed for any repairs on your unit. Each indoor unit has at least one level of filters that should be regularly cleaned. Wall units,cassette units, and concealed units typically have an easy-to-access, washable filter. Central air units will typically have multiple filters. One will be located on the air return grille and one will be inside the unit. These filters are usually washable. Filters are your system’s main defense against dust, allergens and bacteria. They tend to get dirty quickly and require regular cleaning. Luckily, cleaning filters is the easiest form of system maintenance. To clean filters, remove and gently wash with warm water. Lay out to dry before placing back into the unit. and to help prevent costly repairs. Dirty filters cause the system to work harder, which puts a strain on the motor and can lead to system failure. Energy Savings— Keeping filters clean will reduce your energy bill. The system works harder when filters are dirty, which consumes more energy and increases energy costs. Clean Air — Keeping filters clean will help keep dust, allergens and bacteria out of the air in your home. This is especially important for those with asthma, allergies and other sensitivities. System Lifespan — Keeping filters clean is a simple way to keep your system running smoothly . 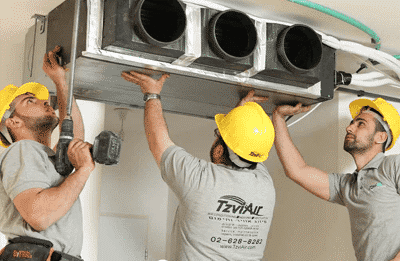 At TzviAir, our professionallycertified technicians provide duct cleaning services to help you breathe easier night and day. Cleaning your central air ductwork is important. The ductwork functions as a distribution system for the conditioned air. When central air is on, dust, dirt, pollen, animal dander and other airborne pollutants are pulled into the system. The National Air Duct Cleaners Association has concluded that the average American home produces 40 pounds of dust every year. Filters will remove about 10 percent, leaving a whopping 90 percent to enter the home’s air system. The ducts are also susceptible to microbial contamination. These combined contaminants can cause irritation. Those who suffer from allergies, asthma or other respiratory issues will be especially sensitive to air quality. Any contaminants that accumulate in your ducts should be removed before they make it into your home. Luckily, keeping a system free from microbes, dust and other pollutants is easy with regular cleaning. Keeping central air ducts clean also keeps your system running at full capacity, which enables it to quickly reach the desired room temperature. The shorter run time results in lower energy costs. Energy Savings — Cleaning central air ducts restores your system’s capacity, resulting in less power needed and lower energy costs. Clean Air— Cleaning central air ducts results in cleaner air in your home. 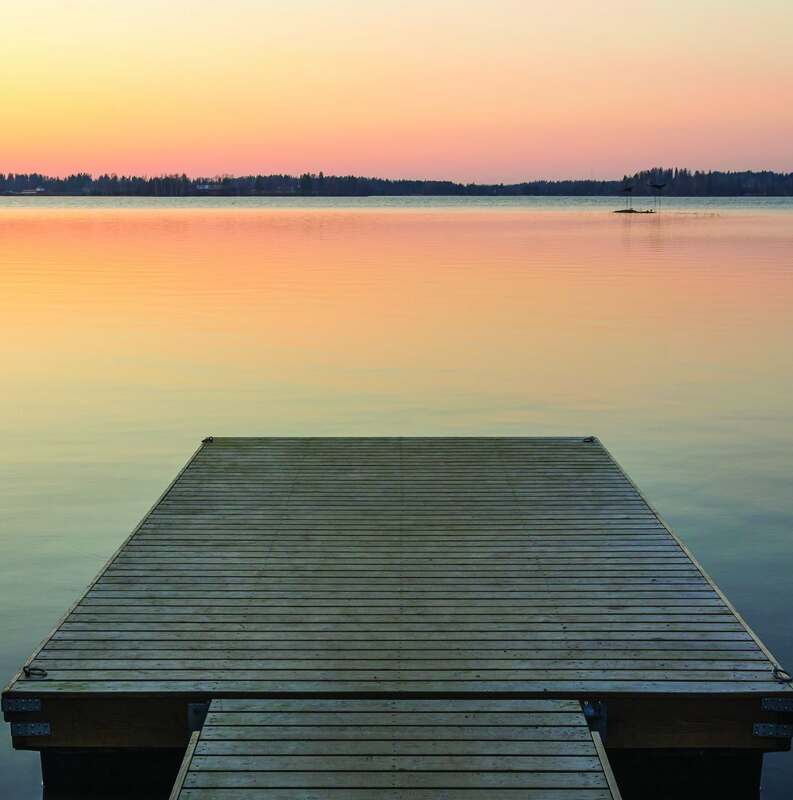 Filters can remove some of the pollutants, but not all of them. For the best air quality, ducts need to be regularly cleaned. System Lifespan— Cleaning central air ducts keeps your system running at full capacity without straining it. This preventative maintenance will help your system perform better and last longer. A complete cleaning of your indoor unit should be part of your system’s regular maintenance routine. A TzviAir professionally-certified technician can clean your indoor unit and keep your system running smoothly. evaporator coil doesn’t warm up as much as it should. This very cold refrigerant causes water vapor in your air to freeze rather than condense into a liquid. Eventually, the whole evaporator coil can frost over. We recommend cleaning the condenser coils every year or two depending on the amount of usage and environment. Energy Savings — Cleaning the evaporator coils of a dirty indoor unit can reduce power consumption by up to 30 percent, resulting in a lower energy bill. When coils are dirty, the system works harder and consumes more power, driving up energy costs. Clean Air — Cleaning the indoor unit will keep the air in your home cleaner. Regular cleaning removes the system’s natural accumulation of fungi, mold and bacteria and prevents them from entering your home. System Lifespan — Your system will last longer with regular cleaning. Cleaning the indoor unit and evaporator coils is basic maintenance that will extend the life of your system. In fact, failing to clean the unit may void the manufacturer’s warranty if a malfunction is caused by an overstressed system. The condenser coil is a critical part of your air conditioner system. Its job is to take the heat that has been extracted from the air inside your home and release it outside. This requires a large amount of air transfer and places a significant demand on the unit. When dirt builds up on the condenser coils, it has a major impact on the performance of your unit. The dirt insulates the coils, reducing their ability to release heat. The system consumes more energy as it is strained, resulting in both higher energy costs and reduced performance. Keeping the outside unit clean can reduce energy costs while keeping your system operating at top performance. It will also increase the overall life expectancy of your unit by placing less strain on critical components. We recommend cleaning your outdoor unit every two years. Energy Savings — Keeping the outdoor unit clean will reduce energy consumption and save you money. When the outdoor unit is dirty, it is prevented from efficiently releasing heat. This causes the system to work harder and consume more energy, resulting in higher energy costs. Optimal System Performance — A clean outdoor unit will perform better. When dirt builds up on the condenser coils, it acts as insulation and does not allow heat to be efficiently released. The result is a decline in performance. It will take longer for the room to reach the desired temperature. System Lifespan — Keeping the outdoor unit clean will extend the life expectancy of your unit. Dirty outdoor units cause critical parts of your system to be overworked, shortening their lifespan and increasing the chance of system breakdown. At TzviAir, we also offer an extended warranty service. A new air conditioning system can be a significant investment. That’s why we believe in providing a comprehensive extended warranty with each system we sell. Quality systems can be expected to last between 12 – 17 years. However, even with proper maintenance, system failures occasionally occur. Manufacturer’s warranties vary in length, usually reflecting the quality of the product. Individual units and central air systems typically carry a manufacturer’s warranty of one year. VRF systems often have the longest manufacturer’s warranty, ranging from three to five years. The engineering and design of the VRF system reduces wear and tear on each component resulting in a more durable, longer-lasting, higher-quality system. TzviAir offers extended warranty packages on all systems. With our extended warranty plan, you pay an annual fee to extend the manufacturer’s warranty. If your system requires repair while it is covered by this agreement, we’ll fix it quickly and at no additional cost. When your system is covered by our extended warranty, any necessary repairs are easy to address. Our experts will quickly have your system operating at optimal performance again. Repairing air conditioner units that are not covered by a warranty can be expensive. Our extended warranty service provides peace of mind that if a repair is needed during your contract period, it will be fast and hassle-free.